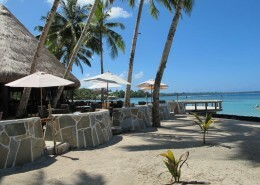 6 night Samoa holiday package deal @ Seabreeze Resort, Samoa. Excellent Value. Escape to Seabreeze Resort & find a true sense of relaxation. 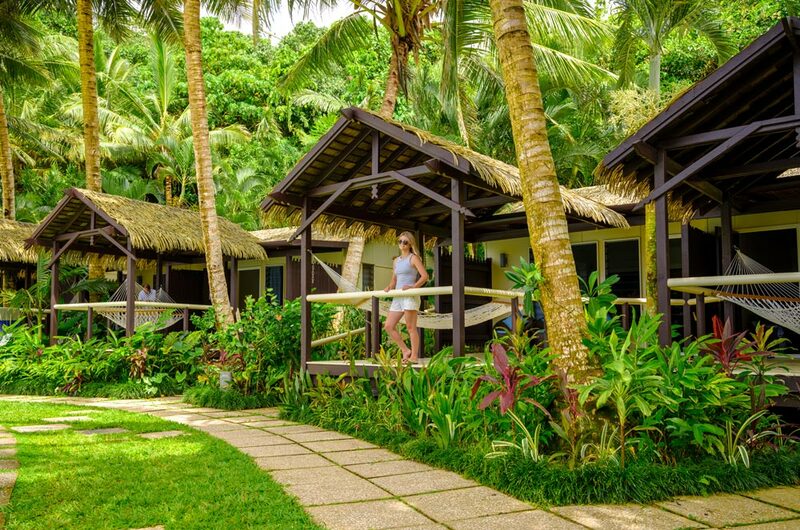 The beautiful serenity that surrounds this resort will ensure you connect with your loved on & leave your daily stresses behind you. Seabreeze could be just the escape you’ve been searching for! 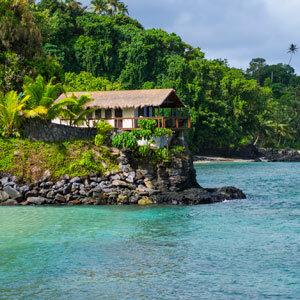 Seabreeze Resort is located in beautiful Samoa, the ideal escape for intimate couples looking for a quiet and relaxing escape. All villas have either ocean, lagoon or reefs views plus air conditioning and fans to ensure you have a peaceful sleep at night. 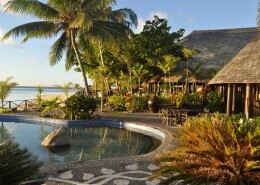 Focusing clearly on outdoor living, this resort ticks all the boxes for the perfect tropical getaway. Valid for travel 15 April to 31 May 2019 & 01 November 2019 to 31 March 2020 (high season surcharges apply). Sale to 31 March 2019. 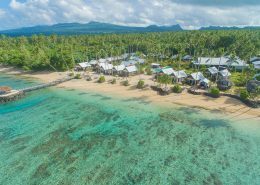 Imagine a secluded, sandy cove, encircled by boutique ocean view rooms, built in the traditional Samoan style but with 21 century specifications and standards. 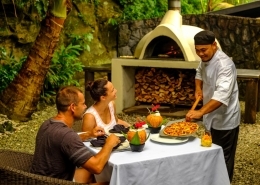 Then there’s the pool, swim-up bar, hammocks for lazy afternoon snoozes, glass-bottomed kayaks or snorkels for those who want to explore the clear sea waters (think ‘Finding Nemo’) and scrumptious nightly dinner in the restaurant. 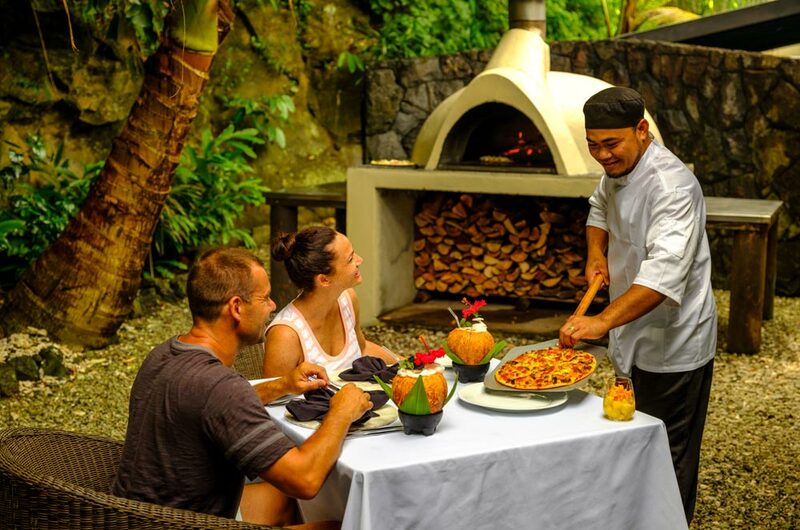 Top this off with the most friendly and genuine staff you could wish to meet and you have yourself the complete package, all to be found at Seabreeze Resort. 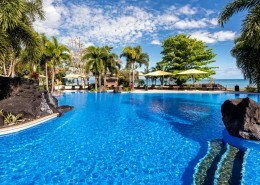 Free Night + Resort Credit, Free minibar daily + so much more included. *Terms & conditions apply: Valid for travel 15 April to 31 May 2019 & 01 November 2019 to 31 March 2020. High season surcharges apply. Sale to 31 May 2019. Minimum 5 night stay applies. Prices shown are a guide only, based on low season availability & subject to change. Price per adult, twin share based on Virgin sale fare, valid for new bookings only. Other conditions may apply.